As any parent knows, courtship is the easy part. 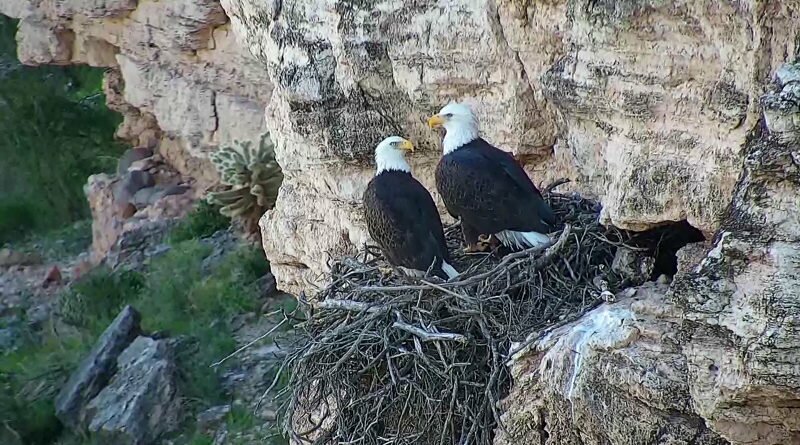 A male bald eagle at Lake Pleasant found this out when, after ousting another male, he mated with the female, she dutifully laid an egg, then everything went downhill. Dad made the stupid mistake of leaving the nest unattended, and some ravens swooped in and ate the egg. “The new male still has much to learn about his role in caring for and protecting vulnerable eggs,” Arizona Game and Fish biologists said in a statement. For the record, the ousted male had all this figured out. Two eggs laid under his watch, in January 2018, both hatched. Those two are part of 28 bald eagle fledglings—those that have taken a first flight—since the population began growing in 1993.